Decongest your complexion with the NIOD Flavanone Mud Mask; a rinse-off treatment developed with innovative Dispersion Technology to deliver a deep cleansing action. With a three-phase formula, the face mask creates a very thin layer over skin to reignite a luminous glow and reveal a clarified, revitalised complexion. A black Amazonian Clay with high concentrations of Titanium and Oligo-Elements dissolves the build-up of surface impurities, including excess oil, make-up and pollution, whilst a copper-rich Brazilian Clay reinforces the skin's barrier function to promote smoother, more refined skin. Harnessing the powers of a Sea Polysaccharide (from microorganisms found in Polynesian coral reefs), the second phase shields against environmental aggressors and premature ageing to maintain youthful vitality. Ultra-pure Bisabolol fights inflammation and allows skin to respond to climate change effectively. The final stage utilises a highly-purified Flavanone (derived from the inner white parts of Citrus Peel) to support the natural immune system, whilst a pre-cursor to a modified Oleic Acid (that is naturally produced on normal skin by a yeast) offers a slow, gentle increase of this acid without altering density or pH. 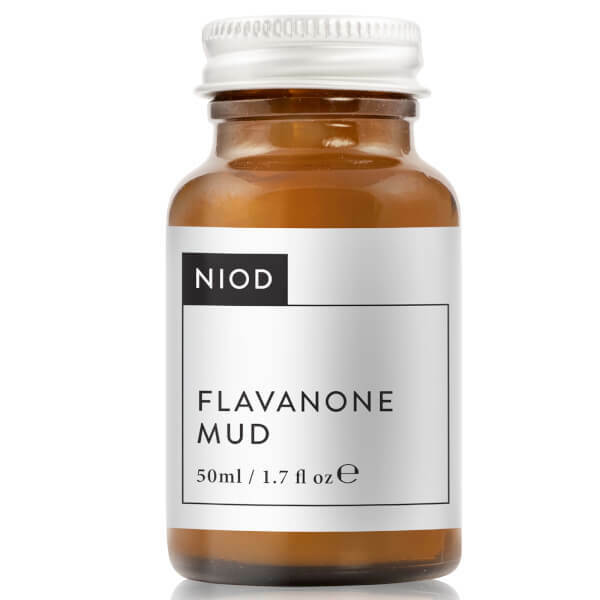 Flavanone Mud avoids the use of aggressive clays, direct acids, low or high pH, exfoliating agents or any material that would disrupt dermal balance, allowing you to experience restored, rejuvenated skin with revived radiance and improved texture. Use once a week. Apply a thin layer of Flavanone Mud to the entire dry face, avoiding the lower and upper eyelids. Leave on for 10 minutes. Rinse thoroughly with warm water. A strong temporary stinging sensation will occur especially after the product has been rinsed off. Aqua (Water), Montmorillonite, Kaolin, Bisabolol, Glycerin, Potassium Azeloyl Diglycinate, Silica Cetyl Silylate¸ Isodecyl neopentanoate, Panthenyl Triacetate, Glucosyl Hesperidin, Perfluorodecalin, Ethoxydiglycol, Argilla, Butylene Glycol, Simmondsia Chinensis Seed Oil, Hydroxyresveratrol, Naringenin, L-Arginine, Alteromonas Ferment Extract, Glycosphingolipids, Xanthan Gum, Carrageenan, Acacia Senegal Gum, Mica, Quartz, Sucrose Palmitate, Trisodium Ethylenediamine Disuccinate, Potassium Sorbate, Sodium Benzoate, Phenoxyethanol, Chlorphenesin.